It has been established that vowel sequences (vocalic hiatus configurations) are dispreferred in most Bantu languages and various strategies such as elision of a vowel, diphthong formation, glide formation, vowel coalescence and consonant insertion are used to avoid them. The aim of eliminating contiguous vowels is to achieve a preferred CV syllable structure. 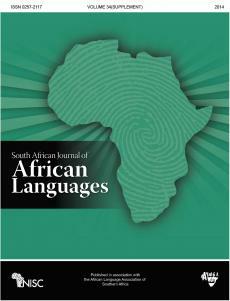 This paper provides additional data and analyses to the literature on hiatus resolution strategies in Bantu languages. It provides a descriptive analysis of how Cindali – an inadequately documented Bantu language spoken in northern Malawi – resolves hiatus situations. The paper argues that Cindali uses processes of glide formation, secondary articulation and vowel elision to avoid sequences of vowels. These processes mostly occur in similar morphological environments, but the choice of one process over the other is dependent on phonotactic constraints of the language as one process may be blocked because if it were to be applied, it would violate some other important phonotactic constraint.